Jennifer had a perfect life, until cancer messed it up. She's married to the man of her dreams and has two wonderful children. She also owns a business together with someone she adores and she has many friends. However, she might have to leave it all behind if a cure for her cancer can't be found. She's residing in a treatment facility and her days are lonely. Even though she has visitors, she misses spending time with her family. While Jennifer is fighting for her life she has too much time to think about her past, missed chances and life going on outside the facility. This leads to some desperate decisions she might not have taken otherwise. Will Jennifer find a way to deal with the major curveball life has thrown her? Jennifer is trying to organize a party, that way she can see all the people she cares about and talk to them. Knowing they would come to her funeral doesn't do her any good, so she's asking them to say goodbye while she's still alive. Her only hope left is finding an experimental treatment that works. While being treated she has quite a bit of time on her own to get through though. How will Jennifer fill those difficult days in the clinic that evolve around feeling worthless, despair, hoping she's still loved and jealousy? Can she live with the choices she's made in her life and were they the right ones? In the Mirror is an impressive emotional story. Jennifer is very ill and waiting for visitors every day can be daunting. Her husband is trying to take care of the kids while working and he doesn't have enough time for his wife. This makes Jennifer doubt every good thing they used to have together. She has plenty of time to think, overthink and analyze and it doesn't do her much good. My heart ached for everything she has to go through and for each insecurity she faces. It's incredibly difficult for the once so active Jennifer to spend her days in bed being exhausted and to completely depend on others. Jennifer feels weak and alone, but she tries to make the best of her time anyway. I loved that about her. She's able to have fun when there's not much to laugh. She has her flaws and makes a few terrible choices, but that's understandable in the awful circumstances she's in. Kaira Rouda writes about hope, grief and forlornness in a beautiful poignant way. Her story is honest, open and empathic. I flew through the pages of In the Mirror. It's a captivating story that is easy to read despite the difficult subject matter. Kaira Rouda has written a fantastic original story about a disease that causes heartache in almost everyone's life at some point. There's plenty of warmth in her book and I liked that it's not all doom and gloom. I had tears in my eyes while reading In the Mirror, but I also had to smile many times. It's a terrific moving story. If you love emotional stories about true love, family and friendship In the Mirror would be an excellent choice. Kaira Rouda is an award-winning, bestselling author of both fiction and nonfiction. Her books include: In the Mirror, Real You Incorporated: 8 Essentials for Women Entrepreneurs; Here, Home, Hope; All the Difference; and the short story, A Mother's Day. She lives in Southern California with her husband and four children and is at work on her next novel. In the Mirror was my third novel, and remains my most poignant novel to date. In the Mirror is the story of young mom Jennifer Benson – a woman who has it all: a successful career, a perfect husband, two kids, and abundant friendships. The only problem is she may be dying. In the Mirror was inspired by a beautiful, intelligent, giving, perfect young mother I had the pleasure to know. Our kids are the same age. We lived near each other, and did all the same things moms with young kids do. We were on the same circuit. And then, one day, she was diagnosed with breast cancer. 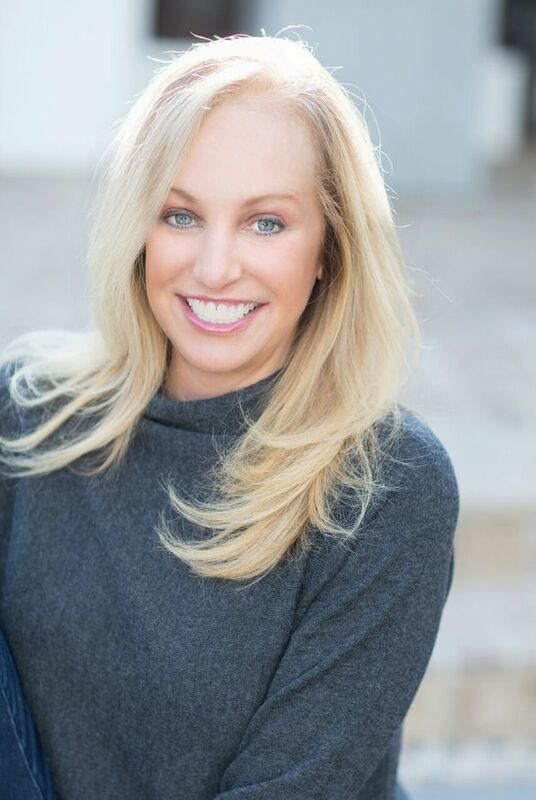 She chose to become the champion for finding a cure in our city, to have the disease associated with her as she went public and raised millions of dollars during her almost decade long battle with the disease. Her story appeared in People magazine as her professional football husband retired to be by her side. Theirs is a love story for the ages. Of course, In the Mirror is a work of fiction. What my friend’s journey inspired in me was a list of questions usually ignored by those of us mired down in the daily tasks of life: of getting kids from here to there, changing diapers, scheduling play dates and doctor’s appointments, checking homework, of working and trying to keep a marriage afloat. While her heroism continues to inspire me, her story, her situation, her diagnosis, inspired questions. If you knew you might die soon, how would you choose to live and what choices would you make? Jennifer, the protagonist of In the Mirror, decides to host a party to reconnect with all the people she cares about in her life, but what she doesn’t anticipate is having her marriage threatened by the sudden return of her high school sweetheart. In the Mirror is a story about sexuality, womanhood, and marriage in the face of serious illness that unfolds with humor and poignancy. There is a whole other story behind the story of this novel’s road to publication. In the Mirror was accepted by a New York publisher in 1997. It finally arrived in 2014. I hope you enjoy this story. It’s the closest to my heart. One very lucky reader of With Love for Books will receive a paperback copy of In the Mirror by Kaira Rouda. 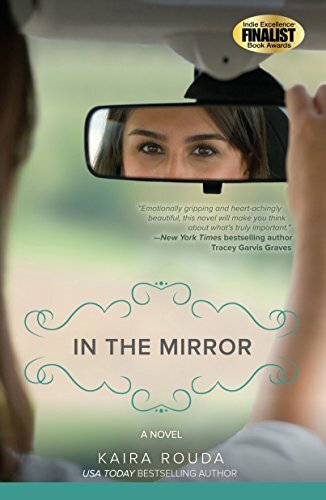 In the Mirror sounds like it tugs on your heartstrings and looks closely at families, friends and relationships and how our lives are shaped by the choices we make. This book sounds great.... as all of her books are. I can't wait to read it! Enjoyed hearing about how you came to write this story. A very intriguing storyline, I'd love to read it. The review was so great that I can't wait to read it. Very emotional about a hard subject. This sounds like a real tear-jerker. Sounds like tissues will be needed, and a heart-wrenching look at people who are seriously ill and the effect it has on their families. Sounds a great read though, after saying that. thank you for the chance, how awesome! Many different characters. Not your typical sad story about surviving cancer but a lovely romance story all the same. I loved it! Cover reflects the story perfectly, very nice addition. I look forward to more books from Kaira Rouda! You definitely need laughter to survive in these circumstances. Mum was diagnosed just 2 weeks after Dad died; 6 months after treatment it was back. More chemo, radiotherapy and op. So far so good (almost 2 years after the last op.) but we make sure to have a really good giggle or belly laugh everyday. I mean, sometimes when you're at your lowest ebb, all you can do is laugh at the absurdity of it all! A lovely guest post and always good to know where an idea for a book springs from. This topic is a subject close to my heart as one of my daughters has breast cancer. We are hoping for the best and it's looking good at the moment, fingers crossed.